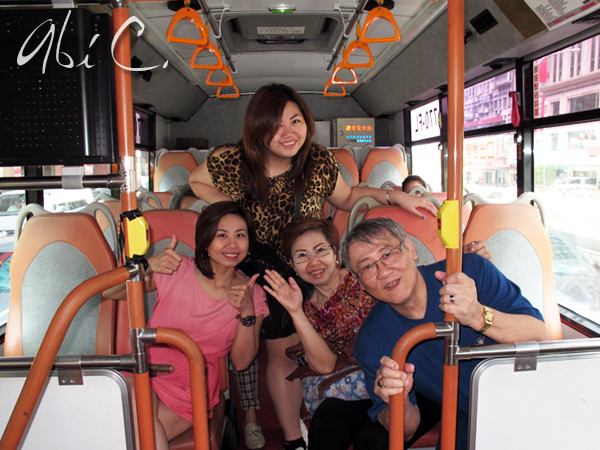 Here it is, the last installment of our Taiwan trip! 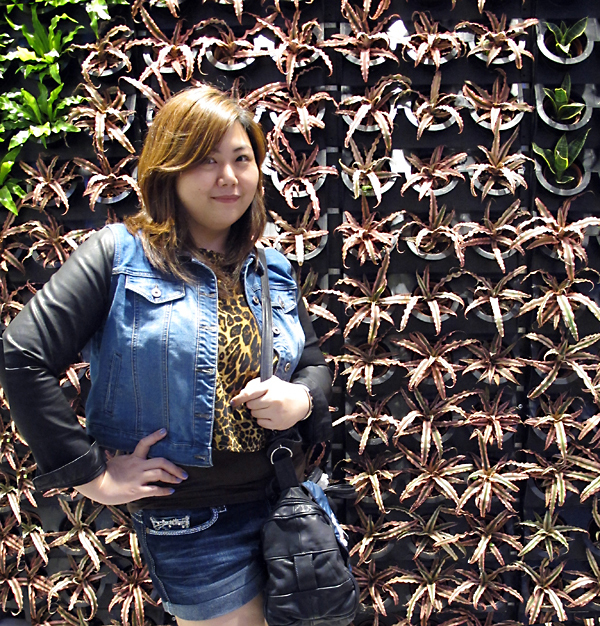 Our last day in Taipei was spent running around for pasalubong, souvenirs and gifts for friends and officemates. To muster up all that energy, we needed fuel, so off to a good Chinese lunch we went! 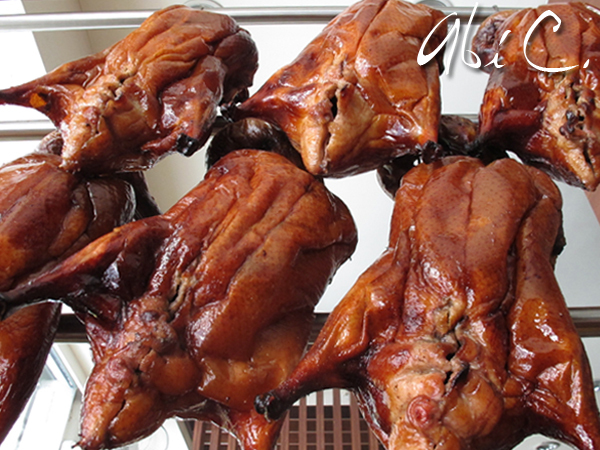 Can you just imagine how delicious the skin is? Crispy and juicy and oh-so-flavorful. The man with the cleaver. 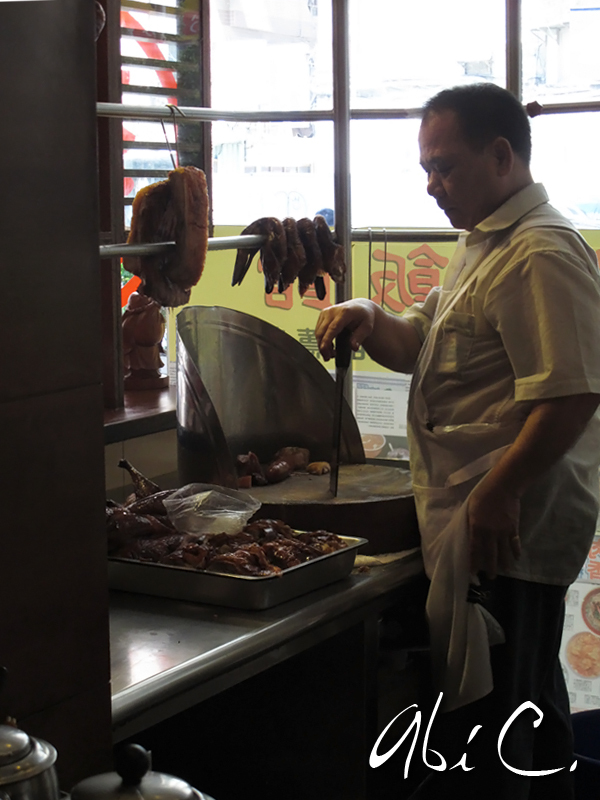 He is so adept at what he does, wielding his butcher's knife with so much ease and precision. I could hear the crackling of the skins with his every swing from where I sat. 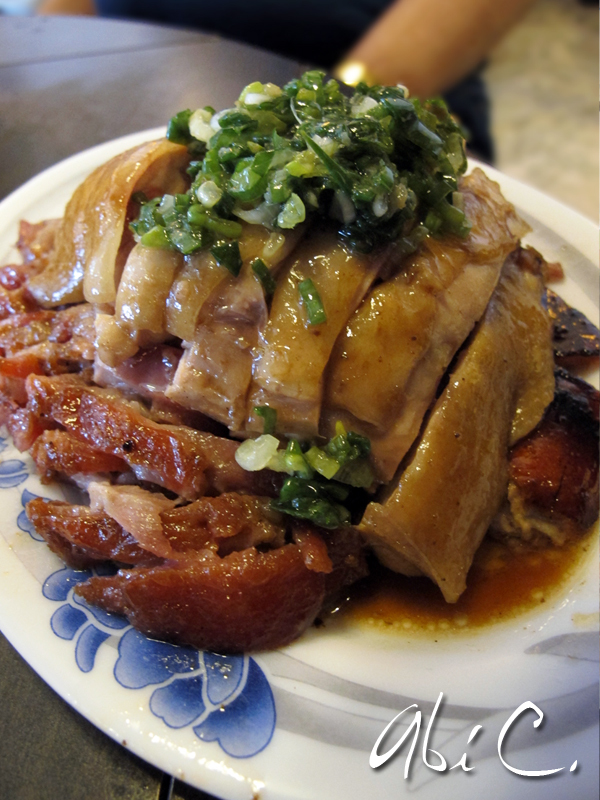 The end result: a combo dish of three roasted specialties, namely barbecued pork, steamed chicken and roasted duck. Doesn't it look so appetizing? We also ordered Shrimp Rolls, plump shelled shrimps enveloped in chewy rice dough and bathed in soy sauce. 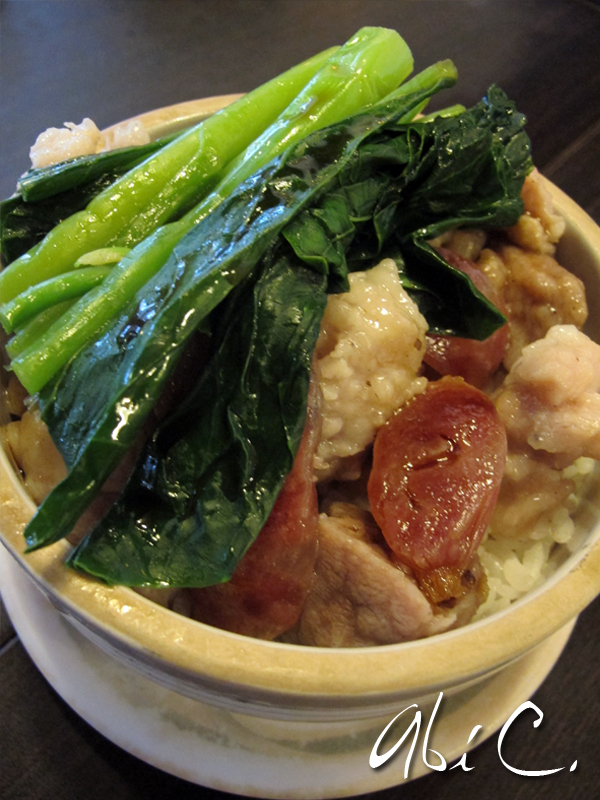 I don't know how they do this, but the rice part was really glutinous unlike the ones made locally where the skins almost dissolve at first bite. 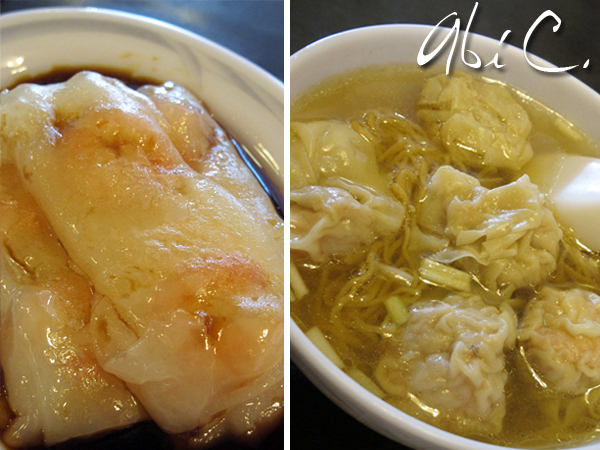 The dish on the right is a hearty bowl of good ol' Shrimp Wanton Noodles. 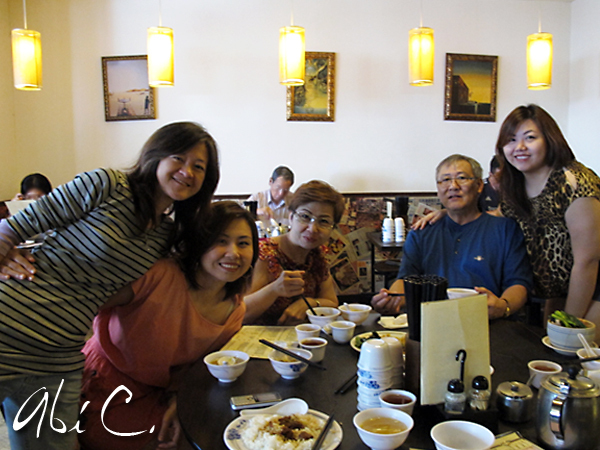 The family that eats together, stays together... until the bill comes that is. After a bit of shopping and a lot of walking, we spotted this street vendor selling a roti of sorts. 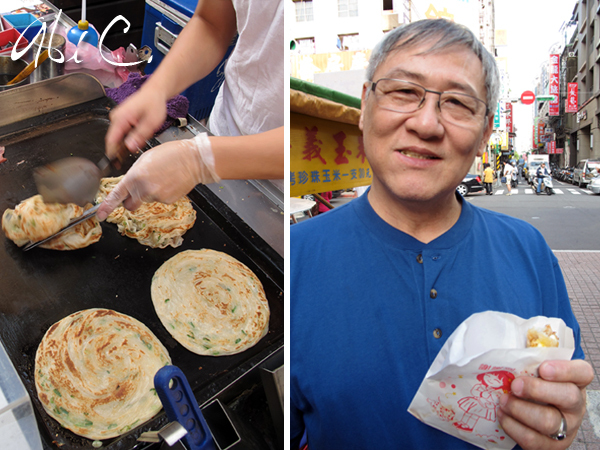 A fan of roti, I immediately lined up to order two, one with bacon and the other with cheese. At only 30NT, not only is it super affordable, but very, very, VERY delicious. After stuffing it, he asks if you want it spicy and then brushes on a tasty chili sauce that had me sniffling from the heat (and from joy, most likely). The afternoon went by fast and soon enough, we were back at the airport, ready to board a plane back home. 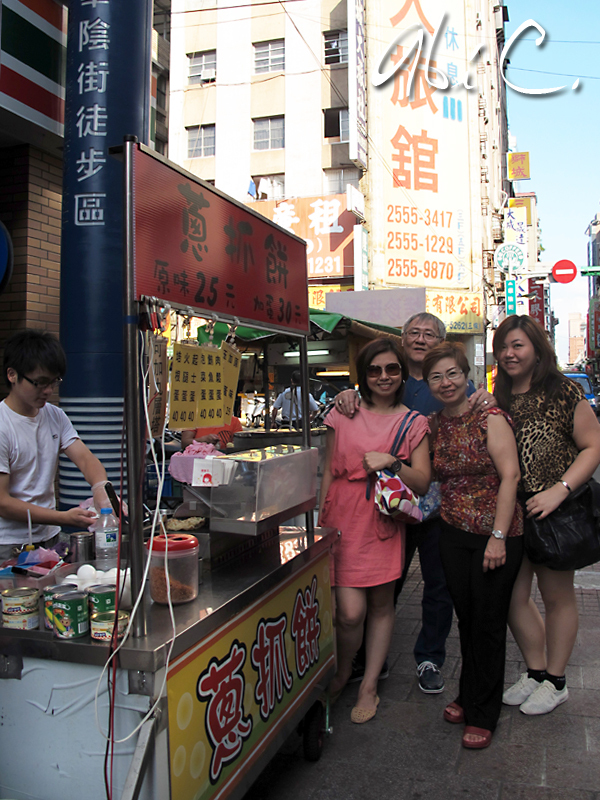 Our Taiwan trip didn't have the most fun activities or the most delicious food, but spending it with family and a friend we haven't seen for years made the trip more than worthwhile. Got any trips lined up? Where do you plan to spend your next vacation? the leopard top is ♥! and OMG the food looks so yummy. I know, and it's super cheap! Haha! Drool! I'm a vegetarian and all of the food photos in this post still have me salivating - if the good is any indication, you must have had an amazing trip! Yes, fun and very satisfying! You and me both! I love it plain and dipped in curry too! Following you back :) Want to follow each other on bloglovin as well? AND YUM! I LOVE roti!!! looks like you had a great time! the food's sooo yammy! Great pictures!!!! I love your jacket!!! 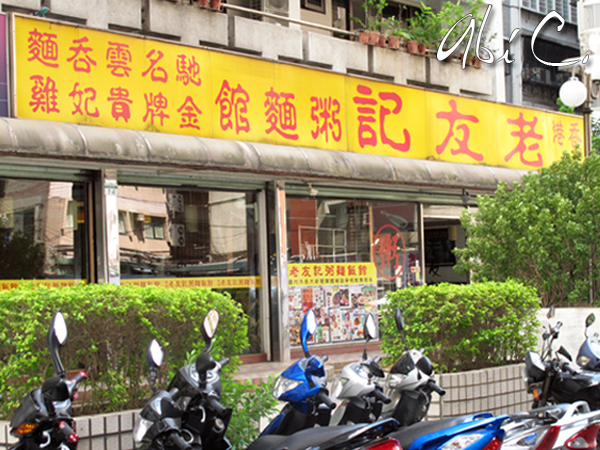 now im tempted to visit taipei too!